The chic Bond No. 9 flagship was designed to encourage lingering. It may be hard to believe that an entrepreneur could build a multimillion-dollar business inspired by the smells of New York City, which is not necessarily known for its olfactory charms. But that’s what Laurice Rahmé has done. In the years since, Rahmé has created edgy and whimsical perfumes for men and women, all blended in New York by handpicked French perfumers and each recognizing a specific city locale, from Harlem to Wall Street and Madison Square Park to the High Line, the transformed elevated rail yard she “perfumed” five years ago. In fact, in the past five years, Bond No. 9 has gone global, seeing substantial sales in the U.K., Asia, Latin America and the Middle East. The company, now a team of 100, generated revenue of $50 million last year, which Rahmé considers small compared to her fragrance competitors. Another draw is the fact that customers can create their own scents, with the help of staffers referred to as Bond Perfumistas. “Our customers end up spending an hour or so in the shop creating their own scent,” Rahmé says of the custom blends, which can cost from $500 to more than $2,000 a bottle. When Laurice Rahmé launched Bond No. 9, she had already conceptualized a bottle that would be just as memorable as the distinctive fragrances that would be contained within. After meetings with several of the world’s finest glassmakers, most of whom couldn’t create the hefty, curvy glass bottle she had in mind, Rahmé partnered with Luigi Bormioli of Parma, Italy, to develop a perfume bottle that would be unmistakably Bond No. 9. Rahmé’s aim was to stand out from the competition. “All the packaging in the fragrance industry was becoming minimalist and functional,” she says. “I wanted to bring some artistry to it. While some people prefer a square or circle bottle, I wanted something out of the ordinary. Every company should try to create unique packaging with a unique message. And many do. 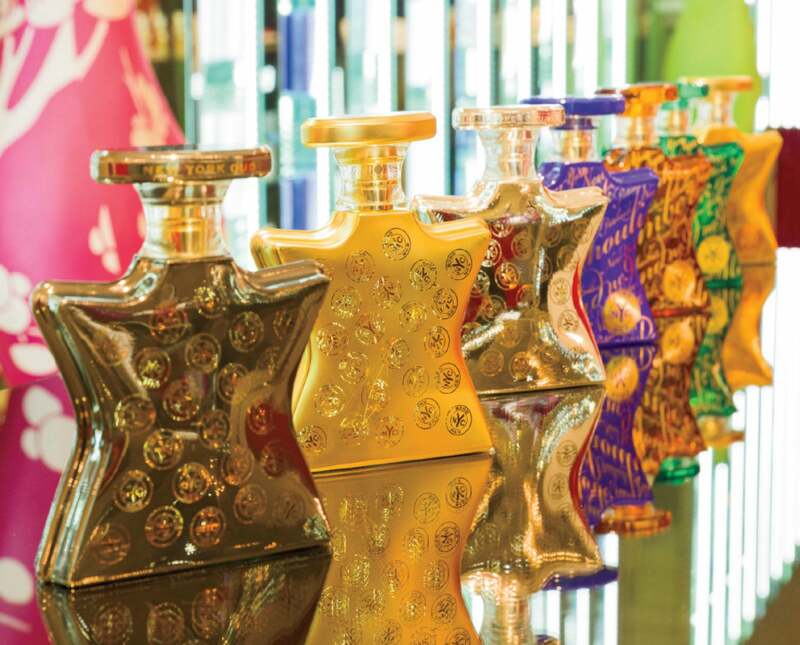 In fact, Rahmé refers to her customers as collectors, citing some who have 40 bottles of her fragrances.